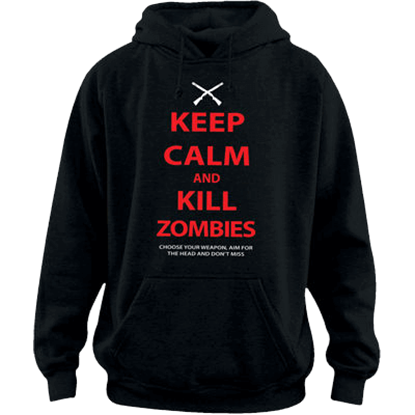 The Keep Calm Zombie Hoodie offers some great advice in the event of a zombie apocalypse - just keep calm and kill zombies! This black hoodie features red and white lettering with an image of crossed guns at the top. With such an intense character, one may wonder if they could ever portray such genuine savagery as that of Negan. 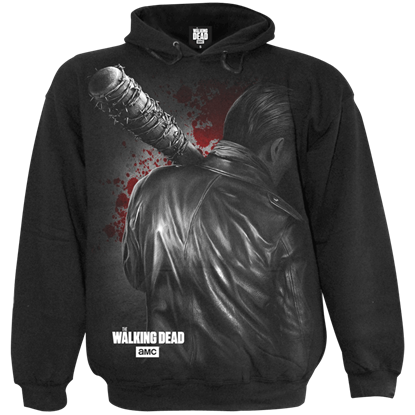 With the Negan Just Getting Started Hoodie, you can express his unrelenting ferocity in comfortable gothic style. Do you dare defy the warning and enter through these hellish gates? Worry not, for the zombies are safely contained...or are they? 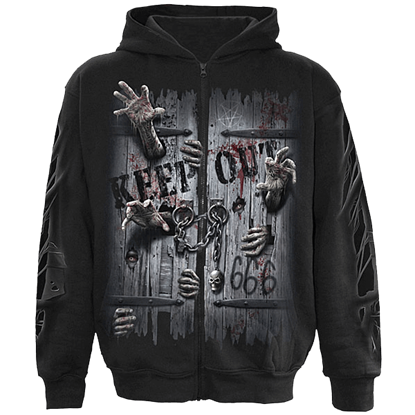 This Zombies Unleashed Zip Up Hoodie brings more than a small touch of undeath to your contemporary and casual style. Honestly... I can say you guys have the BEST customer service! Thanks a bunch!